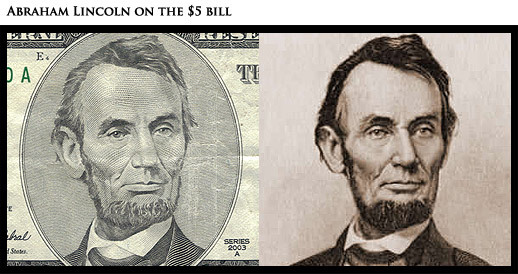 The other night I wondered about the pictures we have on our currency and decided to research the portraits behind these pictures. Surprisingly, I couldn’t find too much collected research online and so I’ve decided to post my findings. 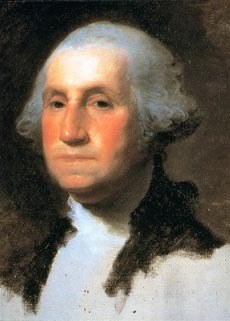 George Washington: Gilbert Stuart painted a number of portraits of George Washington. More than 100 in fact. One of the biggest no-nos in the design community is the horizontal flipping of photos of people. Because your face is not perfectly symmetrical, it is frowned upon as a design technique. 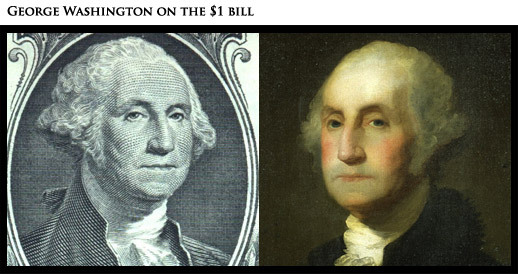 Despite this, our $1 bill contains a reversed picture of George Washington. It’s really difficult to tell whether the above photo is the exact match. I have prepared two of the likeliest possible photos and matched them up so you can see how closely they match when reversed. 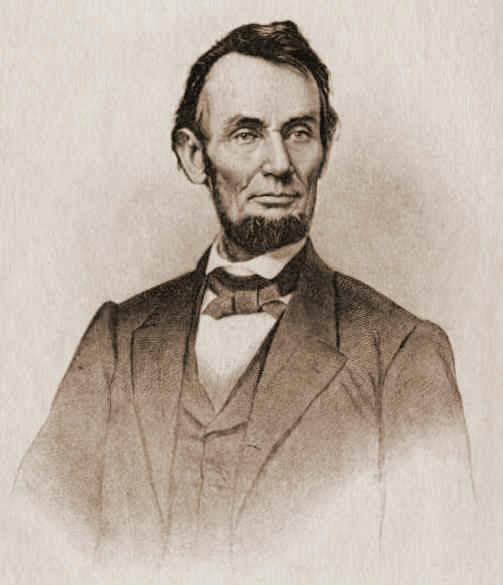 Abraham Lincoln: The easiest of the bunch to declare an obvious match. Alexander Hamilton: The first Secretary of the Treasury (appointed by George Washington). The portrait is by Caroline L. Ormes Ransom. 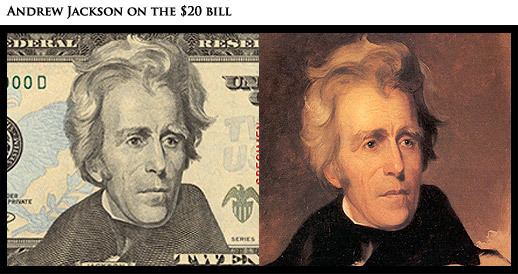 Andrew Jackson: I bet you didn’t know that Grover Cleveland was on the $20 bill in 1914. Trivia: Jackson held an open house party where a 1,400 pound (635 kg) wheel of cheddar cheese was served as refreshment. The cheese was consumed in two hours. View full photo. 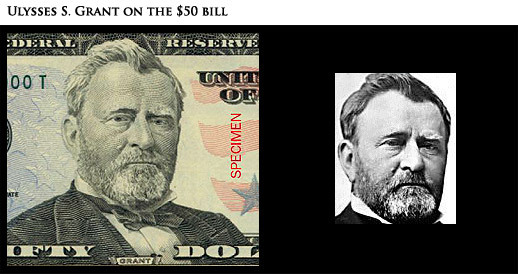 Ulysses S. Grant: This was the best photo I could find that is the exact same as the currency. It is obviously the same picture though, as you can see the hairline is the same. 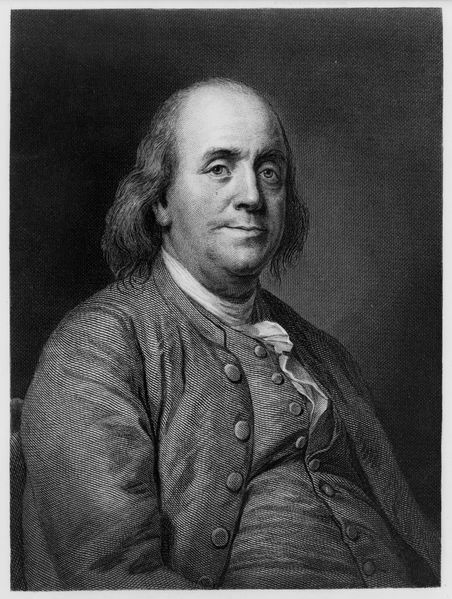 Benjamin Franklin: Probably one of the coolest founding father. He wasn’t just a diplomat, but an electrical genius and very wise. This picture is inspired by an an engraving from a painting by Joseph Duplessis (1783). View full picture. 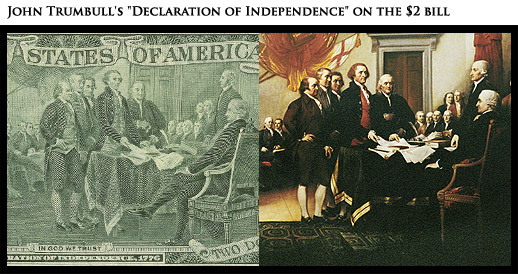 What about Clinton and the Three Dollar Bill? Yeah, the Bill Clinton bill (I actually thought about including that and then decided it should be a serious blog post). Thanks for visiting and thanks to everybody for all of the links. You know something I couldn’t help but notice was what a bunch of hair some of these dudes had. 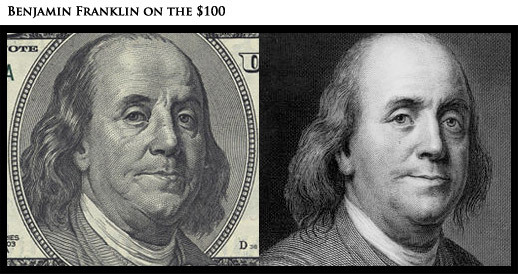 Benjamin Franklin, he’s obviously an eccentric. 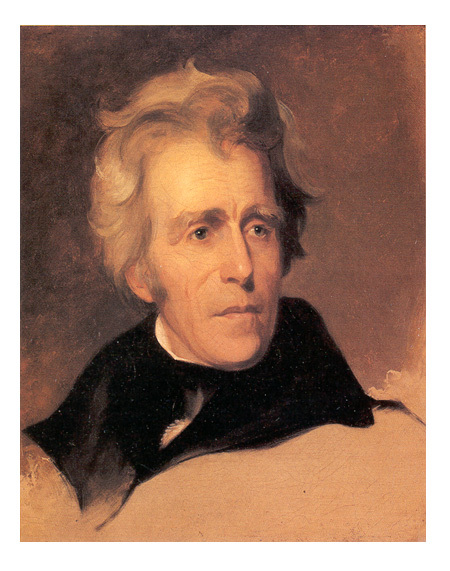 Andrew Jackson was probably quite a lady’s man I dare say, they’re some wild lockes he’s got there. Alexander Hamilton looks very debonaire to say the least, whilst George Washington is lookin’ pretty out there too, but quite stately at the same time. Great overview of US money. 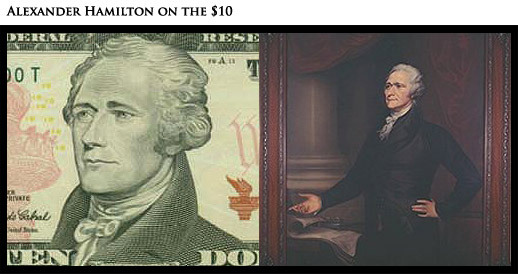 The portrait of Hamilton used for the 10$ bill is actually one done by John Trumbull. Caroline L. Ormes Ransom is actually the author of a reproduction of the painting. 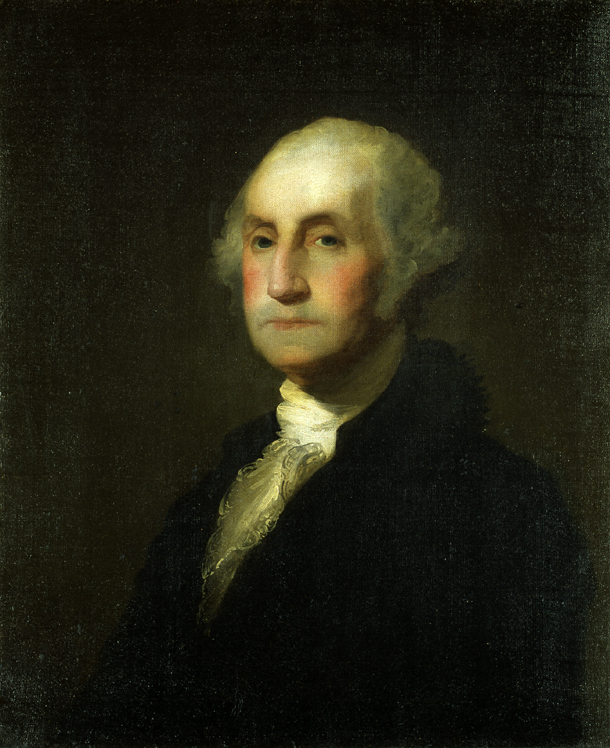 The original hangs in the National Gallery of Art, Washington D.C. and is a part of the Andrew Mellon collection. 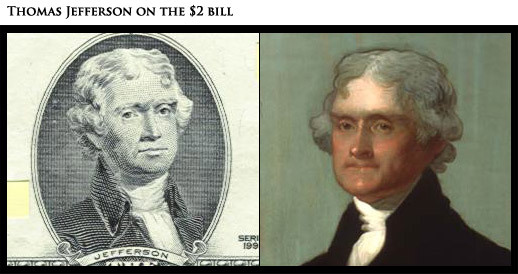 Gilbert Stuarts painting is the two dollar bill.